This class will utilize The Age of Brass and Steam Kerchief by Orange Flower Yarn, pattern available for free on Ravelry. It is a unisex top down triangular shape. Materials needed: US 8 24 or 32 inch circular needle, stitch markers. Please download the free pattern and bring a copy with you to class. 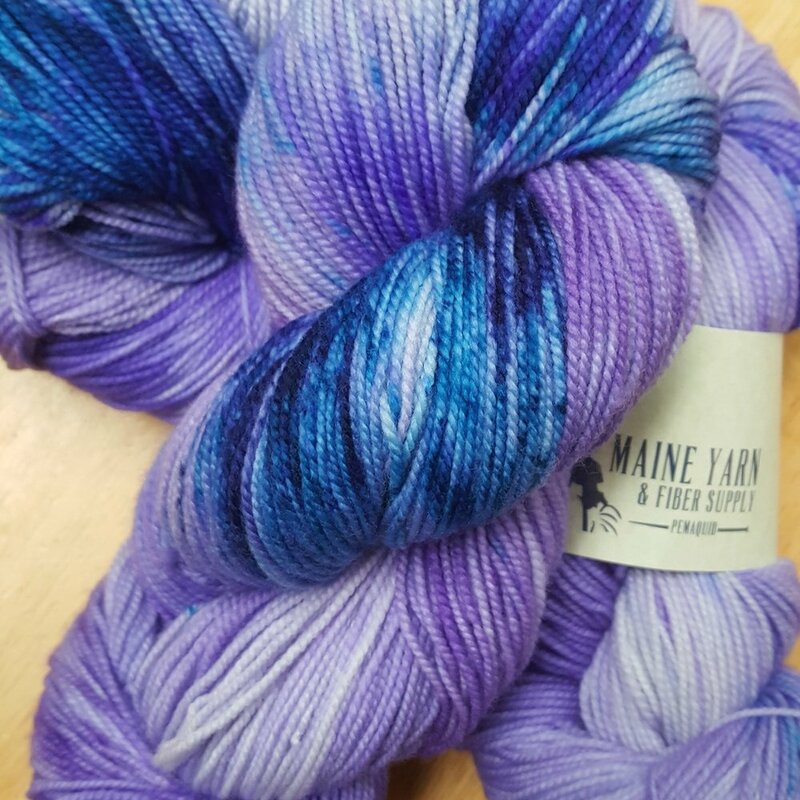 Materials included: 1 skein of our Kennebec yarn or Peace Fleece DK. Goals: learn how to K2tog, yo, M1R, M1L, and the basics of shawl making. Prerequisites: Must be able to cast-on, knit, purl, and bind-off. Experience with knitting flat on circular needles.